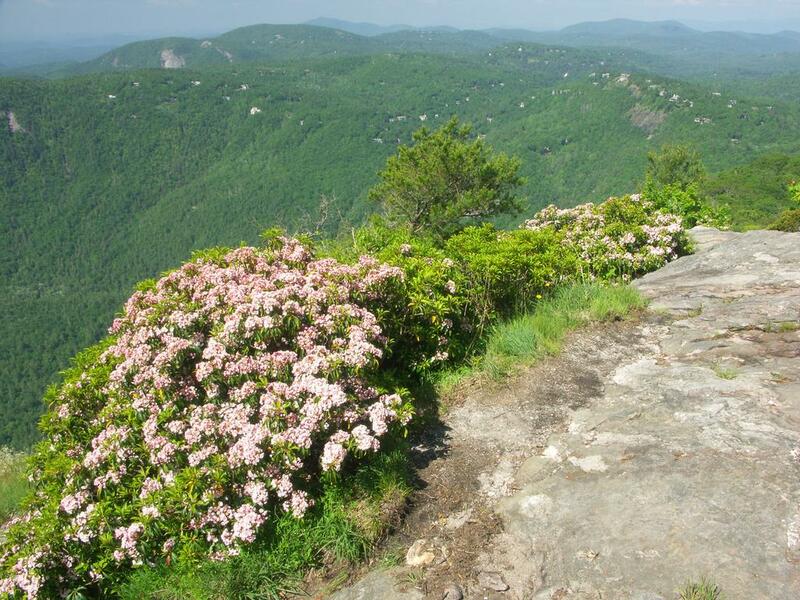 After reaching the ridge, the first "safe" overlook you reach is this one, with mountain laurel growing profusely around the edges. However, this overlook has no railings like the ones further on, so you may want to skip it, especially if you have children. The view doesn't get worse as you go!